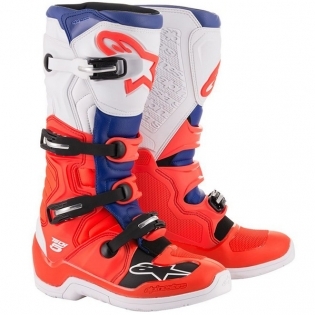 Alpinestars Motocross Boots are a global best selling premier motocross boot brand, and once again Alpinestars have set the bar high. 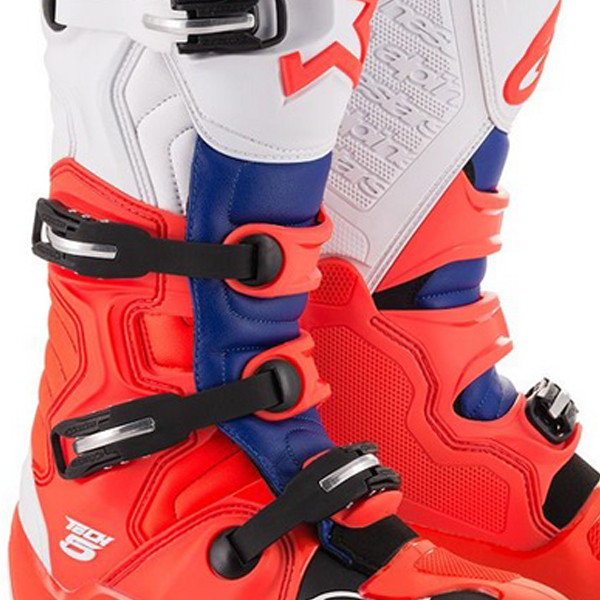 In the wake of the hugely successful and iconic Tech 10 and Tech 7 the new Tech 5 is an advanced multi-material multi-panel construction boot that further strengthens Alpinestars line-up of class-leading motocross and off-road boots. Incorporating an innovative microfibre chassis which is extremely durable and lightweight a medial biomechanical pivot system for excellent levels of support and stability and extended accordion flex zones the Tech 5 affords performance fit and high levels of comfort and durability. Alpinestars - One Goal One Vision! Upper constructed from innovative and light microfibre material with action leather on toe box. Extended PU synthetic gaiter helmets seal out excessive water and dirt entry. 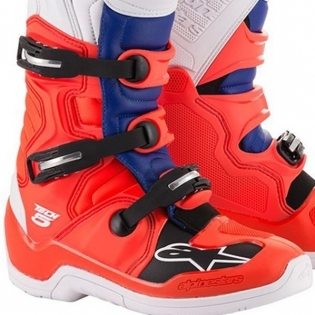 New Closure system includes 4 polymer buckles with an innovative clousre system. 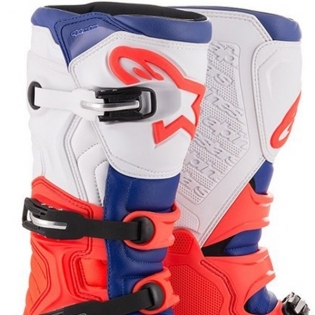 This closure includes a racthet with memory and a quick release/locking system with self-aligning design for precise closure; The all buckles are replacable . Replaceable anatomic eva footbed with textile lining on top.